Cognitive Surplus and Collaborative Consumption: A Role for the Krakow Post? How can a print magazine such as the Krakow Post play a role in the promotion and development of social capital and innovation, both locally and globally? I would like to give credit to the books and TED.com talks of Clay Shirky, Dan Pink, Charles Leadbeater and Rachel Botsman, which have influenced my ideas about the role of the media in creating value, social capital and community building and the role of money in motivating people to take action. I think the answer to this question lies in new ideas about creating value, social capital and community building. The idea that print media has a future is up in the air. So what is the value of a printed newspaper or magazine? The human and resource cost associated with printing on paper means that more trouble should be taken with quality control, and getting in the print edition of a paper has an element of prestige that only a few web sites can provide. Additionally, there are still circumstances where people will pick up a magazine or newspaper when no screen is available, although it has to be said that, since I got a Kindle, I no longer bother to open my print copy of The Economist unless I want to read in the bath. A local print newspaper or magazine, together with a web site that supports community participation and involvement, offers more than the Internet alone. Projects, people, initiatives and ideas worth promoting can qualify for the print edition if they are doing something that deserves additional publicity and support, and those organisations that want to be in the print edition may be ready to take on a role in helping create quality content and to distribute the newspaper. The Internet has changed all media from being a one-way, professional-to- audience experience to a participatory model in which everyone can contribute. Anyone can comment under the online version of this article. People whose livelihoods depend on the old business models (music and traditional media publishers, photographers and journalists) often criticise the idea that this explosion of content, and the opening up of distribution to everybody, is a good thing. Are Lol Cats on YouTube really a step forward in human progress? As Clay Shirky points out, the same process that gave us Lol Cats also gave us Wikipedia and Kickstarter.com. Participation is the vehicle for creating and sustaining social capital. The fact that most community initiatives fail does not matter. Communities form through trial and error. The success of the Krakow start-up community Hive53.com follows my failed attempt with First Tuesday 12 years ago, ITSBA.pl about six years ago and various other initiatives through Meetup.com. What matters is that more and more people become aware of positive examples of community building, that we celebrate their successes and contribution and encourage others to join in. Some may argue that this trend needs no encouragement in Krakow – www.carpooling.pl works well, Couchsurfing Krakow’s weekly meetings attract 30- 80 people, and TEDxKrakow Cinema’s meetings are standing room only. Things work in Krakow, the city functions, so why bother doing anything more? 1. As an English language publication, the Krakow Post is able to provide a global showcase of what is being tried and achieved in Krakow. Because it’s in English, it can also offer dynamic, internationally minded initiatives, and the opportunity to join forces with people in the international community who will join and support them. 2. Community initiatives require trust and optimism – two characteristics that are not traditionally associated with Polish society. In What’s Mine is Yours, Rachel Botsman highlights an exploding, global trend of people moving beyond traditional consumption toward consuming and creating goods and services together. Trust is a key feature. We are living in a time when good ideas can spread, communities can form, and people can be mobilised at unparalleled speed and at a vastly lower cost than at any other time in human history – thanks to the ease of communication and co-ordination offered by the Internet. The more this happens in Krakow, the better. There are many projects in the rest of the world that might work if they were tried here. As Derek Sivers argues in his hugely popular TED Talk ‘How to start a movement,’ finding the first followers for a new movement is a hugely important step. But even when there are a few supporters, it can be hard to achieve a critical mass. By giving a platform to people who want to do something amazing, the Krakow Post can help leaders and future leaders achieve breakthrough. The power of volunteer communities is that they are driven by love not money. As I discovered in my Wojtek the Soldier Bear project, it is possible to organise a world- wide community of people working for free with very limited resources indeed. For the Krakow Post to achieve this, it would become, in part, a community notice board. 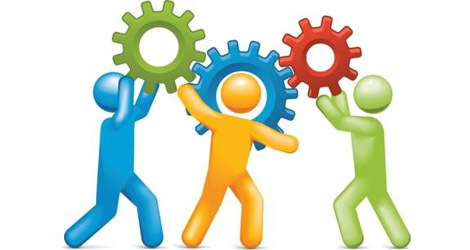 Partnerships could be formed with active, positive organisations in the local community that want to help keep the paper in good shape by contributing content, providing photos and news about their activities, moderating online communities, helping with distribution and also helping with finding advertisers. Clearly, space in a print edition will always be limited, and money from advertising would be needed to pay those doing professional work for their time. The online edition could have much more participation and activity driven by readers who also contribute in some way to the creation of the online product. Local community leaders would have the advantage of being able to encourage and motivate their best and most active supporters by giving them the extra recognition that coverage in the print edition could potentially bring. What would success under this model look like? A good outcome would be if people in the community were able to say ‘thanks to that additional publicity in the Krakow Post we were able to do things we might not have been able to do otherwise.’ If the Krakow Post helped facilitate entirely new initiatives that started as a result of people meeting via their web sites and events, that would be even better.